Bluebird Gardens custom quilt guide helps you design your own custom quilts, wall hangings, pillows and other fabric home decor items. I will be glad to help you design and make custom quilts in colors and sizes of your choice. You can select from our online custom quilt examples, send a photo of the kind of custom quilt pattern and custom colors you want, or draw something that basically shows us what you would like custom made for you. A pencil drawing on the back of an empty envelope will do, we just need a place to start! Can I Send Fabric for Custom Quilts? You can send fabric including clothing, baby blankets, ties and other mementos to use and incorporate into custom quilts, or we can give you yardages for the fabrics we will need. Price of final custom quilts will be adjusted for fabric provided. How Much Do Custom Quilts Cost? Custom quilt prices depend on several factors including size, pattern, how you want custom quilts finished, etc. You will find custom quilt prices in custom quilts examples on our website. You are also welcome to ask for a free, no obligation estimate on prices for custom quilts. Most popular quilt size in custom quilts is queen size 95x95 inches with polyfill machine quilted. Custom queen quilts start at $449. Over-sized custom king size quilts 110x100 inches will start at $599. Extra large custom California king quilts 120x105 inches start at $699. Custom twin size quilts 70x90 inches with polyfill, machine quilted, start at $329. Our twin quilts are a few inches larger to make sure they cover mattresses. Embroidery personalizing custom quilts is $4 for 4-inch letters, $3 for 3-inch, $2 for 2-inch, $1 for 1-inch letters and 50 cents for half inch letters plus a $10 per project embroidery set-up charge. Your options to add embroidery on custom quilts will come up once you select a design for your custom quilts. Once we receive your order with embroidery instructions, we will inform you of the total embroidery prices. Handmade custom quilts finished with hand quilting will cost around $1 for each yard of thread and takes about 6-12 months to complete from when custom quilts order is placed. Can We Add Photos to Custom Quilts? We have made custom quilts that incorporate photos with traditional patchwork quilt designs, applique photos onto ready made quilts and throws as well as custom quilts made with quilt blocks with a variety of photos. We have also incorporated photos, invitations, scrapbook pages and birth announcements into a variety of custom quilts. You Can Also Include Original Art in Custom Quilts Send us original artwork on paper to scan onto fabric and make into quilt blocks for your custom quilts. You can also design directly onto white paper sheets and cotton fabric blocks to incorporate into custom quilts. I recommend all original art made on fabrics be done with waterproof markers. For artwork made on paper, use white paper for best color transfer onto fabric. We can also transfer original artwork, including scrapbook pages, onto fabric so you can make your own custom quilts. Can You Make T-Shirts and Sweatshirts into Custom Quilts? We can make custom t-shirt and sweatshirt lap quilts, throws, quilted wall hangings, handmade pillows and custom quilts. We cut t-shirts and sweatshirts to size, stabilize then so they don't stretch, sew them into a pattern with complimentary cottons ready for quilting. 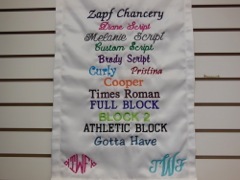 You can also add dates, names, photos, clothing and other memorabilia to our custom t-shirt quilts. We also specialize in making custom quilts out of regular clothing including shirts, bathing suits and other clothing fabrics. How Long Does It Take To Get Custom Quilts Made? Each project takes between 3-5 months to complete, depending on the project size and details included. Once details for custom quilts are settled and a final price agreed upon, we ask for 25% of the final price down and the remainder when custom quilts are ready to ship. We provide photos during the process so you can see how custom quilts are progressing. Any changes made after the original design is approved and priced may result in additional charges. We return all original photos and other materials when finished custom quilts are shipped. Custom quilts are not refundable or returnable. The final price given includes shipping to continental US and shipping to a different address in continental US. Additional shipping priced separately. Can I Make Changes After the Quilt Is Started? Once we have started making your quilt, there are few opportunities for changing. You can make adjustments to steps we haven't taken, such as changing the kind of quilt fill you want but if there is a change in the original approved design, there will be an additional fee to make changes. The additional fee will depend on what you are asking to be changed. I will email you details before we proceed. If you want us to prepare a card with a proposed custom quilt design, fabric samples and other information, we charge $25 for each custom quilt design card. Some of our customers use the custom quilt design and fabric sample cards as gifts when they've placed the custom quilt order. If you want us to shop for special custom fabrics for you, we can do it at both online fabric shops and area fabric shops. There's a $20 an hour charge for custom fabric shopping. You can also do the shopping and send us links of fabrics you like. Please remember monitors don't always correctly reflect fabric colors so it's best to personally shop for fabrics to ensure the best accurate fabric colors. Ready to get started? Fill out this step-by-step custom quilt design form.